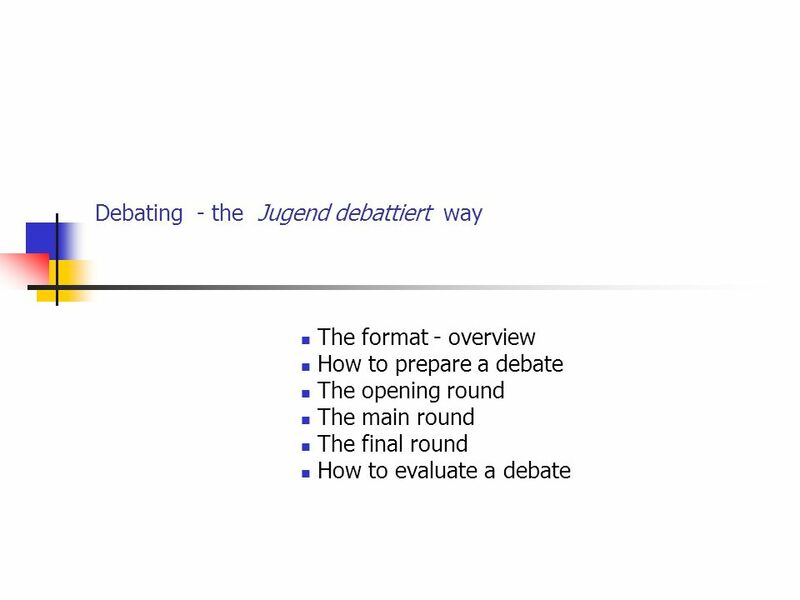 Debating - the Jugend debattiert way The format - overview How to prepare a debate The opening round The main round The final round How to evaluate a debate. 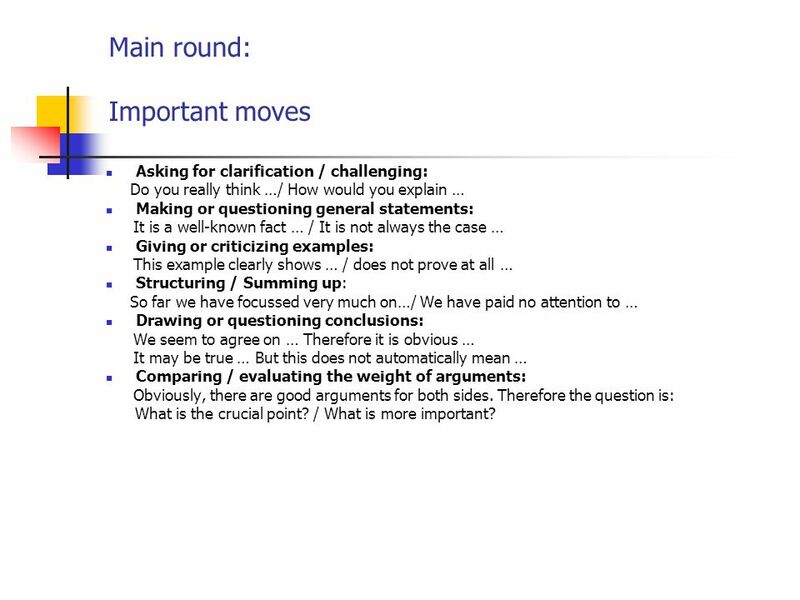 5 Main round: Important moves Asking for clarification / challenging: Do you really think …/ How would you explain … Making or questioning general statements: It is a well-known fact … / It is not always the case … Giving or criticizing examples: This example clearly shows … / does not prove at all … Structuring / Summing up: So far we have focussed very much on…/ We have paid no attention to … Drawing or questioning conclusions: We seem to agree on … Therefore it is obvious … It may be true … But this does not automatically mean … Comparing / evaluating the weight of arguments: Obviously, there are good arguments for both sides. 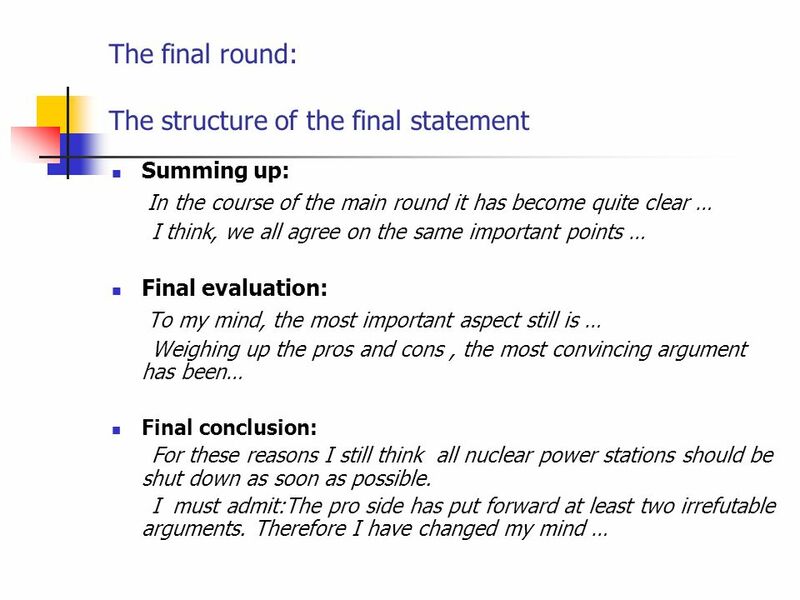 Therefore the question is: What is the crucial point? 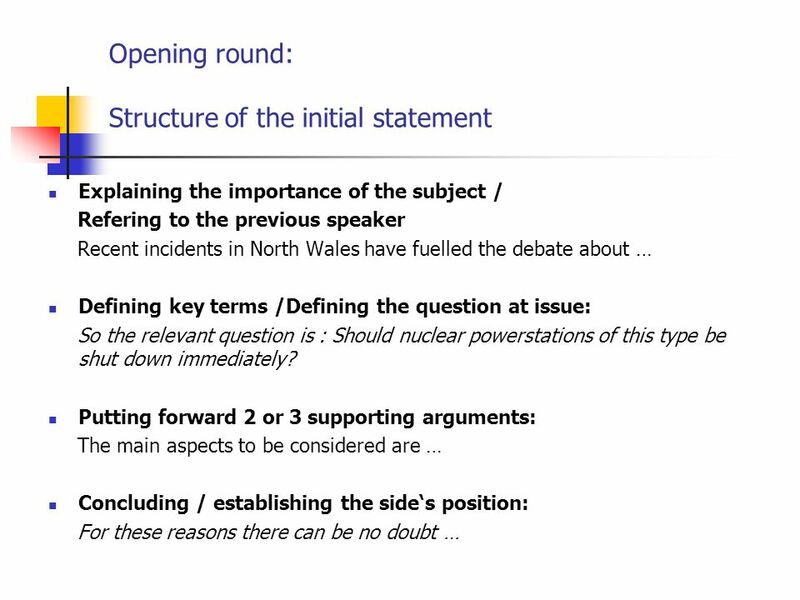 / What is more important? 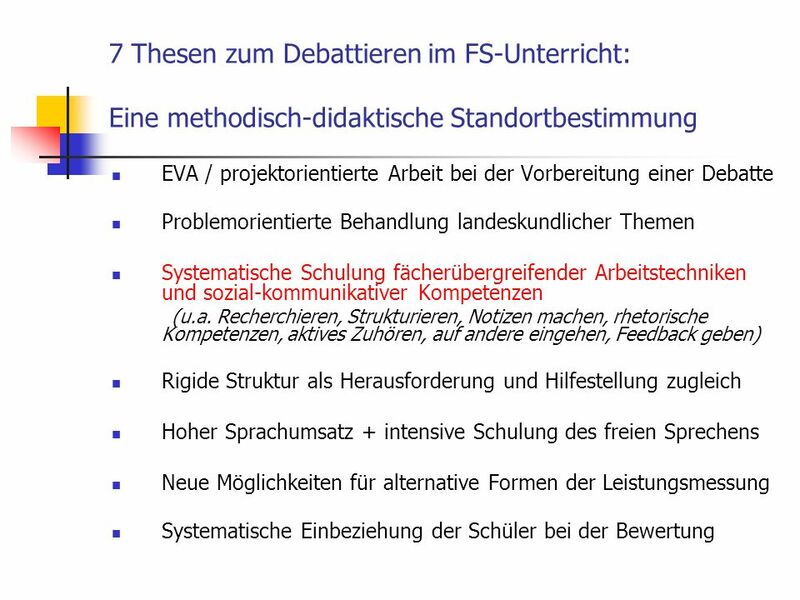 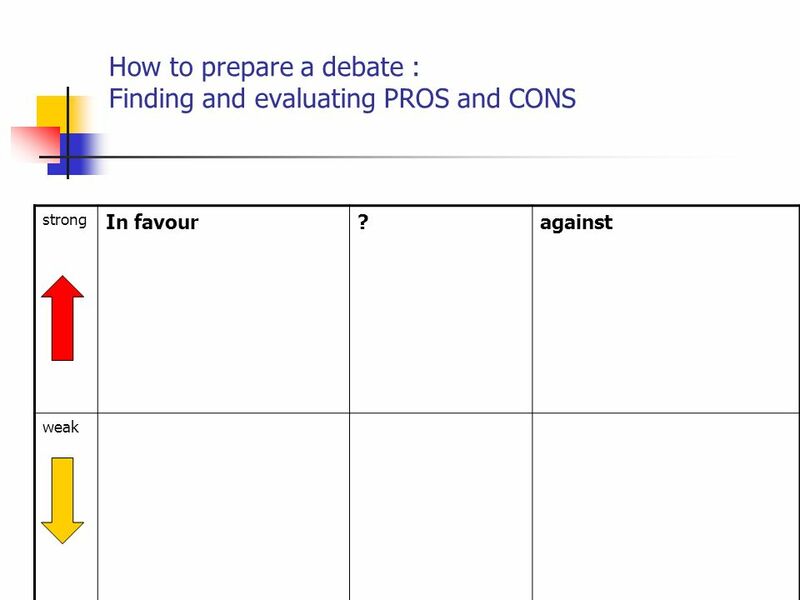 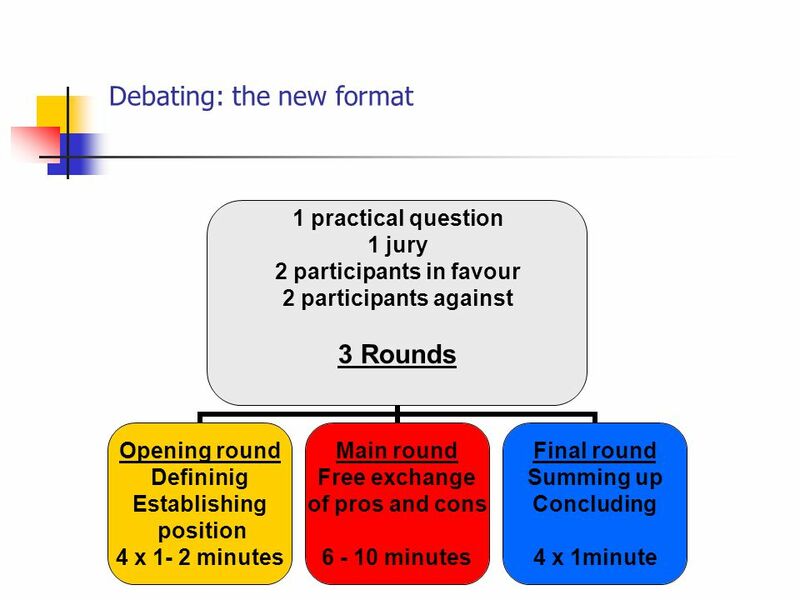 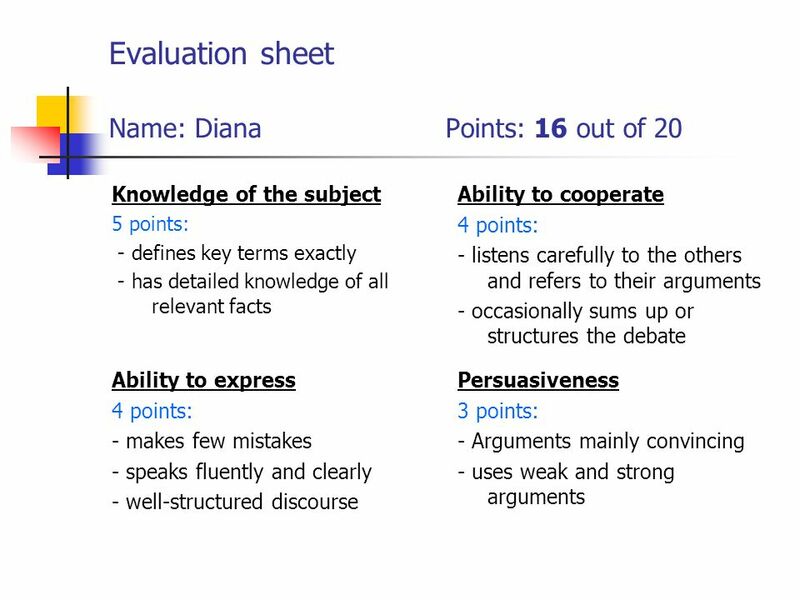 Herunterladen ppt "Debating - the Jugend debattiert way The format - overview How to prepare a debate The opening round The main round The final round How to evaluate a debate."